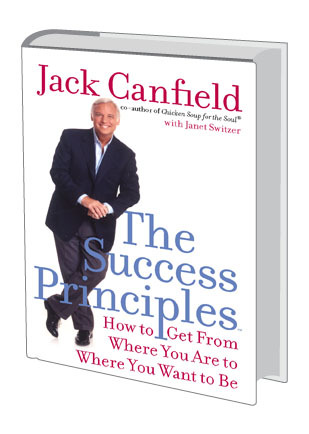 Jack Canfield has edited & authored over 60 best-selling books; the most famous series being the “Chicken Soup for the Soul” books. His success extends from television appearances to being the keynote speaker at many multi-million dollar corporations. He has developed a set of principles and techniques that have helped thousands achieve breakthrough success in their careers, greater wealth in their finances and greater happiness and fulfillment in their lives. These same results are available to you if you put these principles to work! The Success Principles spells out 64 timeless and proven techniques & ideas as a fabulous guide to teach you how to realize all your ambitions. Start Now!… Just Do It! The key to success is to take what you have learned and put it into action. If you are serious about achieving the success you wish to achieve, The Success Principles will give you the proven blueprint you need to achieve any goal you desire! 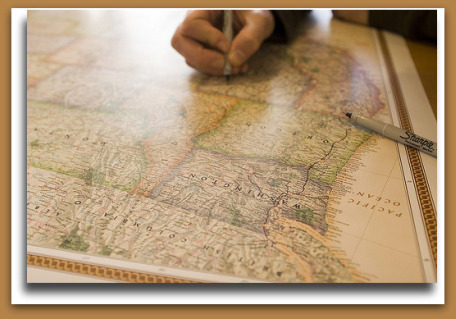 To navigate your journey through this real estate market, you must begin the way you do any journey! So where do you start? … Start with your vehicle – make sure you have a reliable car with all the parts in tip-top shape; next you’ll need the proper type and amount of fuel to make your trip. Get regular tune-ups to keep everything in working order throughout the trip and finally, don’t forget the map – you need to know where you’re going. With the right vehicle, all the parts tuned up, the fuel topped off and the map towards your destination… let the journey begin! The way to get there is through the vehicle of skills and having all of those “parts” working together through understanding the sales process. Then it is necessary to have the proper type of fuel and enough fuel to get you there. Have you noticed that the pervasive “negative” fuel will not move your vehicle forward? Have you noticed there are so many abandoned cars on the side of the road because they ran out of gas? The business systems are what keep you moving smoothly and efficiently and consistently. Keeping your car tuned-up will keep you moving forward on cruise control when fueled with the right mindset. Move ahead consistently and point yourself in the right direction, with the requisite map provided by a thorough understanding of market cycles. When you are navigating the course of your real estate sales journey, all of these facets must work in concert. You can build a business by helping people with their real estate needs AND get the results that you are looking for only when you have the right vehicle that is tuned up and fueled up and headed in the right direction! When leaving one location on your exciting and fulfilling journey, remember that just because you cannot see your eventual destination does not mean that it is not there. Happy trails! The term “blueprint” is used to refer to any detailed plan. An architectural blueprint describes and defines every single aspect of a structure in minute detail from the foundation to the very top. As a professional real estate agent, you should have a blueprint for your business outlining every aspect of your business from your core foundation to your pinnacle of success! These myriad aspects of your plan deserve your ongoing attention and evaluation on a periodic and consistent basis. Your attitude (in general and daily) towards your business has an enormous impact on the result you will achieve. Your mindset and motivation oversee every other piece of your blueprint for success! Thoughts lead to Feelings which lead to Actions which lead to Results! It is vital to monitor your thoughts towards every aspect of your real estate transactions and career. Expose yourself to people, situations, experiences which propel you towards your goals. Are the people you hang out with supportive of your goals? Do your friends and family enhance your confidence and self-esteem and help you alleviate your daily stress? What are the books you are currently reading? What classes do you take to continue your education? What type of music do you listen to? How often do you ask to shadow an agent who is better than you are? Everything that you expose yourself to affects your thoughts which in turn create the results that you get! What do you say to yourself? Affirmations can help direct your mindset towards your goals and plans. We are always affirming things yet we do not always monitor those affirmations and many times “affirm” things we do NOT want rather than what we DO want! Your motivation for working in your chosen field will also color your blueprint for success. How often do you take a step back and remind yourself of why you sell real estate? Take a few moments and think about why you get up and go to work everyday and if you were not engaged in this fabulous career, what WOULD you be doing for a job? We spend hours and hours working IN our business, take a few moments and work ON your business to work on the fine and ever-changing details of your blueprint for success! 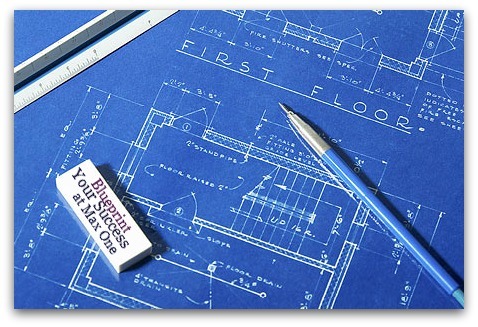 Maximum One Realty has many classes on every aspect of your blueprint. If we do not offer what you seek, please find a class somewhere or a book or a mentor! Continue to build your successful real estate business and excel in personal and professional growth!